Intel has showcased its one teraflop chip, capable of running at one trillion calculations per second. Intel has showcased its one teraflop chip, capable of running at one trillion calculations per second. The chip, dubbed Knights Corner, was demonstrated at a supercomputing conference in Seattle. The company first showed off a teraflop supercomputer in 1997, which required 9,680 Intel Pentium Pro Processors to power. “Having this performance now in a single chip based on Intel MIC [many integrated core] architecture is a milestone that will once again be etched into HPC [high-performance computing] history,” Rajeeb Hazra, general manager of technical computing. 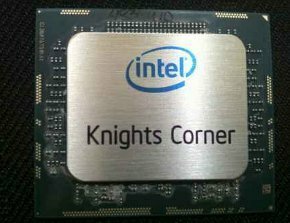 The Knights Corner co-processor performs some of the tasks of a central processing unit (CPU), and is 50 cores, the equivalent of 50 individual processors. The chip will be used for highly parallel applications and save time, cost and resources by enabling the use both CPU and co-processor performance simultaneously with existing x86 based applications, said Intel. During the conference the company also outlined new investments in research and development that will lead the industry to Exascale performance by 2018, more than 100 times faster performance than is currently available. Intel and the Barcelona Supercomputing Center have signed a multi-year agreement to create the Exascale Laboratory in Barcelona. In addition, the UK’s Science and Technology Facilities Council (STFC) will develop and test Intel’s supercomputer technology in its Daresbury Laboratory in Cheshire.